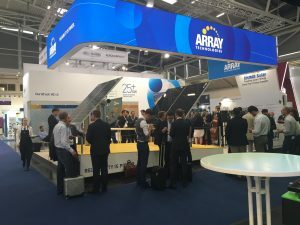 Array Technologies exhibited at this year’s Intersolar Munich 2018 conference, and the excitement at the show seems to grow every year as solar energy is deployed globally on a larger scale. 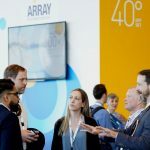 We had the opportunity to discuss the innovations happening across the PV sector, as well as the challenges we collectively face as the industry evolves. Imagine you could increase your solar tracker’s generation by 5-15%, simply by using a bifacial module, without any other changes to your project. A throwback to the original double-glass terrestrial solar modules, bifacial technologies have now re-entered the mainstream. 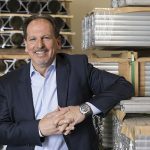 Major manufacturers are ramping up production for deliveries that are expected to grow significantly over the next few years. Bifacial modules are widely predicted to become the future industry standard, due to the significant benefits they offer in increasing production and lower degradation over time. The albedo, or proportion of incidence light reflected off the ground from the sun’s rays, plays the greatest role in determining the production gain with a bifacial module. 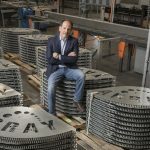 Array Technologies has launched an initiative with Sandia National Laboratories for an intensive study to measure the production gain for different bifacial mounting configurations, to provide hard data that can be used to find the optimal balance of material cost and production for the lowest levelized cost of energy (LCOE). As the solar industry has become more and more cost competitive, there has been pressure on equipment manufacturers to reduce costs. This has led many tracker manufacturers to reduce the steel structure and use active electrical systems to stow their systems at lower and lower windspeeds. Trackers that once typically stowed at 100 km/h (65 mph) now stow at 60 (37 mph) or even 40 km/h (25 mph) The ever-increasing pressure to cut costs has lead to field performance issues such as torsional galloping, or the twisting and movement of modules along a row due to harmonic interactions from dynamic wind events. Torsional galloping can even occur at relatively low windspeeds with tracking systems that rely on electrical stow to survive. 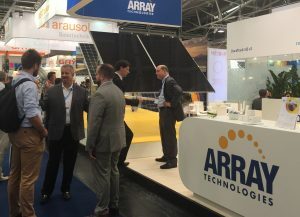 Array Technologies has pioneered a fully passive, mechanical wind mitigation system that allows the DuraTrack v3 system to survive wind events at any tracker angle, without the need for active electrical stow. By locking the rows into mechanical stops passively, Array has eliminated the risk of torsional galloping and microcracking of modules that can occur from an active electrical stow approach. One other topic that had crowds abuzz at this year’s show was the increasing interest in robotic cleaning solutions for solar assets. For places like the Arabian peninsula, cleaning can be one of the most serious challenges facing solar operators. Some sites require a dry brush application once or twice a week to maintain production and avoid dust buildup on the modules that can result to an unwanted, expensive wet cleaning.  There are many robotic systems in the marketplace, from semi-autonomous walkable units that are deployed by humans across a site, to fully-autonomous robots that aim to deploy one unit per tracker row. While there are many novel and interesting approaches to cleaning, one thing is certain: as economies of scale grow and costs continues to fall, robots are becoming a very attractive solution in high-soiling areas. Much like other industries, robots will become a disruptor to traditional manual labor or vehicle-driven approaches that are widely adopted today by solar operators. 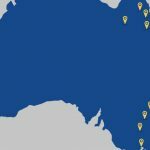 Each year brings new surprises and unforeseen developments across the solar sector. As the industry continues to mature and grow, we look forward to what’s ahead. 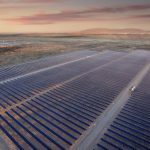 While the breakneck pace of solar development presents many challenges, one thing is certain: solar waits for no one.